During my time in the military eons ago, I picked up more than a few maxims that apply in my work today as an inbound marketer. “Check yourself before you wreck yourself.” “Stay alert, stay alive.” Plus a bunch more that probably aren’t suitable for this forum. Of these many little sayings, the one I use most often is, “slow is smooth and smooth is fast.” Usually I’m repeating this when helping a new client with their social media strategy. Slow is smooth and smooth is fast, or in other words, putting together a plan quickly means taking the time to prepare for it first. In the Army, when a unit conducts a training exercise it rarely does so without ensuring each soldier knows how to do their job within the structure of the unit. 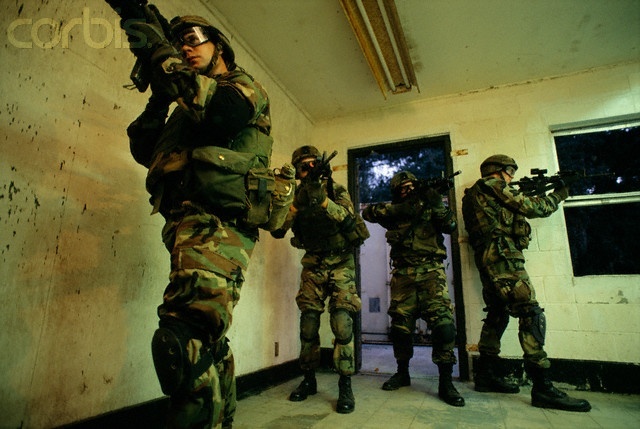 For example, let’s say a team of 5 soldiers is learning how to clear a room full of bad guys. First everyone needs to become proficient on individual skills such as the proper way to hold a weapon and how to breach a closed door. Next the team works together on how to properly enter a room—which direction to take once inside the door, what part of the room they are responsible for, and how to communicate with other team members. It’s a highly choreographed exercise that the soldiers walk through over and over until they can run at full speed, eventually working up to the point where they can clear the room while using live ammunition in the dark. (It’s a real rush!) Slow is smooth and smooth is fast. The same is true when it comes to planning for a social media strategy (or really any aspect of a marketing strategy). 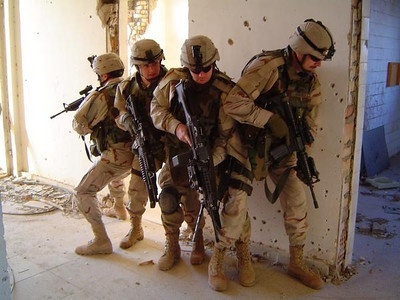 If that same team of soldiers, without any training, was ordered to clear out that room, chances are they would trip all over one another like the Stooges just trying to get through the door. Not smooth. Not fast. Yet, this is how many companies approach their social media programs. They are gung ho in setting up Facebook, Twitter, and LinkedIn profiles, but then stumble around trying to figure out why they don’t have 10 gazillion followers. Eventually everyone wants to know where they went wrong. Slow is smooth and smooth is fast. So where does the slowdown need to happen? As with the team of soldiers, it’s best to start at a fundamental level. Before a strategy can be settled upon there are several areas of consideration affecting the success of your social media efforts that need to be addressed first. Senior Management: This may sound like a given, but it shouldn’t be assumed. Does senior management fully support a social media program? Will they allocate the needed resources? Will they help enforce policies? And most important, do they have realistic expectations about how long it can take before a social media program can yield results? Social Media Knowledge: This means more than just familiarity. You do need to know beforehand how proficient those in your organization are with social media all the way up to the C-Level, but there’s more. Is your company aware of how social is being used across your industry? Are there published reports or benchmarks available or even niche sites to tap into for how social media impacts your business? Customer Engagement: Assuming your company has a presence in the social space, do you know how you are engaging with your audience if you are engaging at all? Do you know which of your buyer personas is using which social media platforms? Do you know what others are saying about your company online? Is it positive or negative? Competitive Insights: It’s highly likely your competition has some level of online visibility, and there is much to learn from them. Have you evaluated the strength of their efforts? How active are they in the social space, and what is their size of their audience? Is the content they are publishing high quality? Do people interact with it? Staff and Resources: Oddly enough this is a consideration that is often missed because the assumption is marketing will handle all the social media, but who is the point person? Who else should be part of the social media team—legal, HR, product development? Who’s going to be responsible for providing content? Should employees be trained on how to use social media? Process Integration: Social media can sometimes be viewed as operating in a vacuum; however in order for it to be truly effective it needs to be integrated with other marketing initiatives as well as a number of in-house business operations. Has your company discussed which? Does your company intend to have coordination meetings to plan initiatives and content creation? How will social media support your traditional marketing campaigns? Policies and Reporting: This is another area that is often overlooked until after the fact. Does your company have a social media policy that governs use by employees and contractors as well as addressing how to engage with clients and prospects? Are there any legal considerations to hash out? What about analytics? You may not know which metrics you are going to be looking at (these comes during the strategy development), but is there a reporting process planned for reviewing progress and performance? Working your way through these various points, you will realize, requires extra time, input from others, and disciplined focus. And this is only the preliminary leg work before piecing together the actual strategy! However, for those companies that take the time to go through this exercise, they will find themselves better prepared to execute on their final strategy—one that’s of better quality too. No one will be saying, “Oh crap! We didn’t think of that,” as their marketing team rushes headlong through the door into a dimly lit room. Slow is smooth and smooth is fast.